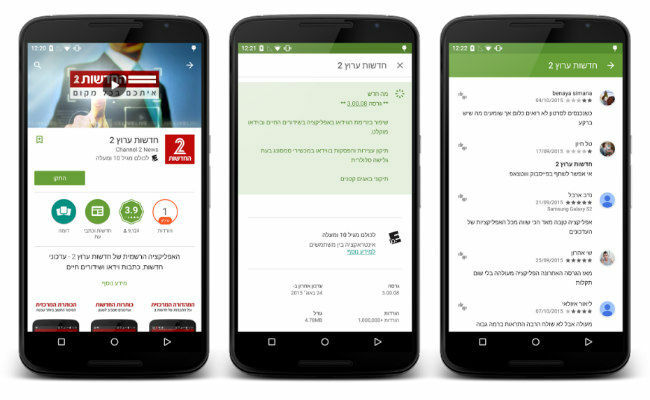 The screenshots shared by a Google software engineer show that all content on the Google Play Store will be put under two tabs. 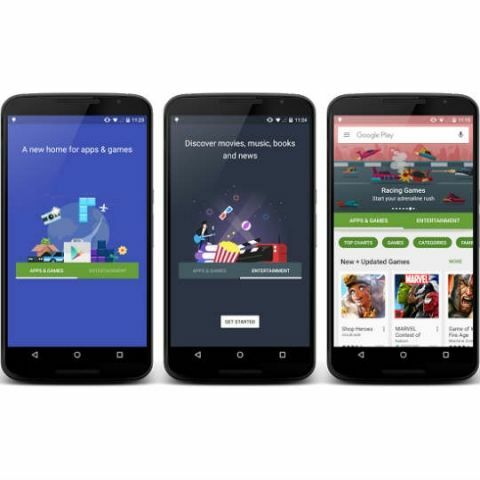 Google is set to overhaul the design of the Google Play Store. Screenshots of the new design were posted on Google+ by Google software engineer, Kirill Grouchnikov. The design will put all content on the Play Store into two tabs called Apps & Games, and Entertainment. Currently, there are six separate sections called Games, Movies & TV, Music, Books, and Newsstand. With the new design, there will sub headings like Top Charts, Categories, new releases and updates, popular titles, and more inside each tab. The space on top of the app will now be used to focus on certain apps. The update will also introduce RTL support, which is support for languages written from right to left. Kirill did not mention the exact date of the rollout of the new design except for a vague ‘soon’. Last month, Google redesigned its logo, which was its fifth redesign since the company was founded in 1998. The new logo now makes use of Google’s own Product Sans typeface. The company had announced the new logo via a blog post. It also said that the new logo is a reflection of all the ways Google works for its users. In August, Google had announced a new parent company called Alphabet that will own Google as well as all of its subsidiaries. The hierarchy of the company was also restructured with Sunder Pichai becoming the CEO of Google. Larry Page is now the CEO of Alphabet while Sergey Brin is the President. Earlier this week, Google had launched the Nexus 5X and the Nexus 6P in India. The Nexus 5X is manufactured by LG and is available in 16GB and 32GB variants with prices starting at Rs. 31,990. The Nexus 6P is manufactured by Huawei and will come in 32GB and 64 GB variants with prices starting at Rs. 39,999. The two devices are available at all major offline and online retailers such as Croma and Flipkart.